Our company offer you the widest range of wooden floor materials and flooring accessories that is still being broadened to satisfy the needs of most demanding clients. Our oak floor supplies come directly from the manufacturer. You can choose lots of different types of wooden floors including engineered ones, parquet blocks, mosaics for each type of interior, versal panels and many more – you can choose whichever type you need for your house, flat, but also for restaurants, hotels and other commercial places. 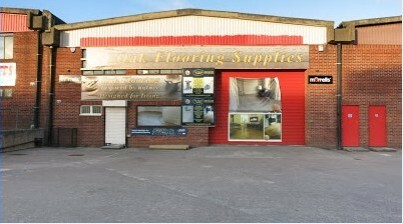 To offer you the most varied and satisfactory offer we run one of the best and largest flooring stores in Bristol. We give you the opportunity to choose your flooring panels wisely using professional help of our experts. If you are looking for durable, resistant and top quality solid, engineered, or hardwood floors - we can offer you exactly what you need. ALL FLOORING PANELS & ACCESSORIES IN OUR SHOWROOM ARE ON STOCK! We do not only offer you the quality wooden flooring products and solutions for domestic and business projects – if you require we can arrange a professional quick delivery directly at your place. We do the best to provide the best protection for your flooring materials. There is a wide range of flooring accessories you can choose from and these include, for instance: different types of underlays, flooring adhesives, lacquers, sanding belts, oils (including professional hard-wax oils), fillers and many other. These will help you to properly refurbish, repair, or lay a completely new floor with ease. If you are short of professional sanding equipment we can also arrange that for you – our professional and experienced sanders and fitters will provide you a fully comprehensive and customised sanding service. We use all types of latest technology sanders which all provide a 98% dust-free working environment. Flooring stores Bristol, engineered flooring stores Bristol, wood flooring store Bristol, hardwood floor shop Bristol, solid flooring stores Bristol, real wood flooring stores Bristol, flooring store Bristol, wooden flooring shop Bristol. 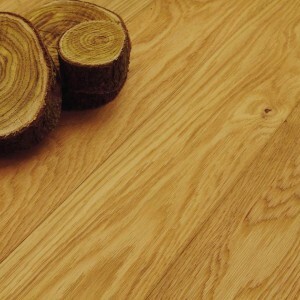 We are manufacturers of highest quality solid oak floorboards. They are offered in all widths and are characterised by the years-long durability, ease of maintenance, and great design. We manufacture all the oak hardwood and solid floors using the skills and knowledge of our experienced producers. The work is painstaking from the beginning to the end. If you are interested we invite you to contact us. We will not only provide a full and reliable delivery of the load, but we will also install, repair and refubrish the flooring. Ashley Down, Bedminster, Bishopston, Bishopsworth, Brislington, Bristol Clay Hill, Clifton, Dingle, Fishponds, Henbury, Henleaze, Horfield, Kingswood, Knowle, Long Ashton, Mangotsfield, New Cheltenham, Northville, Redfield, Redland, Sea Mills, Shirehampton, Southmead, St Agnes, St Annes, Stapleton, Stoke Bishop, Totterdown, Westbury. Oak floor supplies Bristol flooring supplies Bath floor sander hire Bristol flooring showroom Bristol parquet blocks supplies Bristol engineered flooring supplies from manufacturer Bristol belt sanders rental Bristol floor sander hire station Bristol oak flooring supplies Bristol. Also, we have recently extended the range of our products to include also the following: distressed wood floors, tumbled parquets, wall timber cladding panels, and hand-made solid oak flooring for excellent visual and feeling experiences.